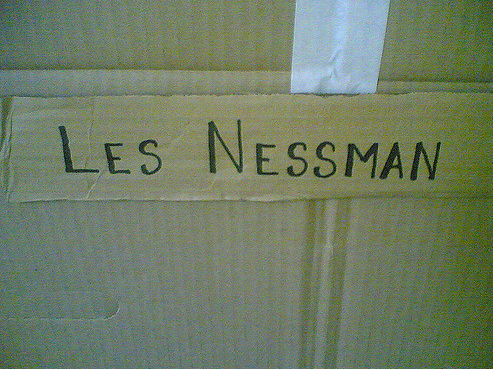 I’ve been watching with interest the discussion online about ideal office space and I’ve come to the conclusion Les Nessman had it right. You may recall the classic episode from the 70s show WKRP in Cincinnati, where news director Les Nessman draws imaginary lines around where his office door should be and asks the rest of the office to respect his space. There’s been a huge shift in the past five years to open, collaborative workstations. The idea behind these workspaces was noble. Force people out of their offices and workstations, and you’ll foster collaboration, drive innovation and break down silos. But as the saying goes, the road to hell is paved with good intentions, and most employees who work in these cattle stalls report being unhappier at work and less productive. They say noise levels and lack of privacy make it hard to concentrate and do “heads down” work and god forbid you try to have a conference call or hangout with someone. I was reading an article the other day where one employee said it’s actually hurt collaboration in their company, because most people now wear headphones all day and don’t talk to each other. I have friends that work in some companies where they don’t even have a workstation any more. There is a space for their team and transient workstations for the days they are working in the office. Now some may say, what’s the big deal, sounds great. People are working from home, they don’t need regular workspace. So what if it’s noisy? Others say it is a big deal and we need to come up with a new approach that will achieve the original goals of openness and collaboration, but address the needs of modern work. I saw a design last week that had bizarre small desks that could move and looked like a honeycomb. It made me think of a hamster wheel. No thanks. You see the problem is many of these so-called “experts” who are designing modern workspaces are overlooking some very basic realities and needs of office workers today. The first is the importance of natural light. Number two is addressing the plague affecting office workers of the 21st century: inactivity. The third goes back to where I started this blog, Les Nessman and Maslow’s hierarchy of needs which states people by nature need to satisfy their physiological needs first (eating, drinking, shelter), then feel safe. It’s tough to feel safe in open workplaces. So it got me to thinking if I could design my ideal work space, what would it look like. Everyone would still have a desk or place to work with natural light. You’d sit in pods of four or maybe six with people you like. The pods would have chairs that are like ultramatic beds. Push a button and you are sitting up, or recline for casual conversation. When you didn’t want to chat anymore, you’d push a button and sound-proof glass would come up and you turn your chair like you’re on the Voice, and presto, you have peace and quiet for concentrated work. There’d still be open, airy spaces where you could chat, have a quick meeting or just take a break. In every pod, or maybe in a separate area, there would be treadmills and exercise bikes fully wired so you could participate in a meeting or listen to a webinar while getting exercise. There would be a Dog Café where you could bring your dog to work and visit with them over coffee or take them out for a walk at lunch. It would be street level and become a tourist attraction—people would come from miles to see the dogs in the window. And last but not least, there would be a beer fridge and free beer for everyone on Friday afternoons. Yes, that workplace of the future would make me happy.